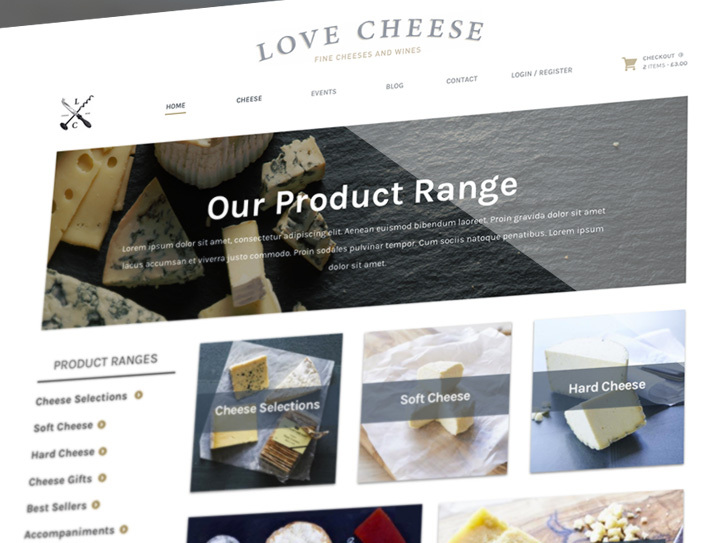 Love Cheese are an independent cheese supplier and cafe in the centre of York, who wanted an ecommerce site to sell their tasty goods to those not lucky to live nearby. 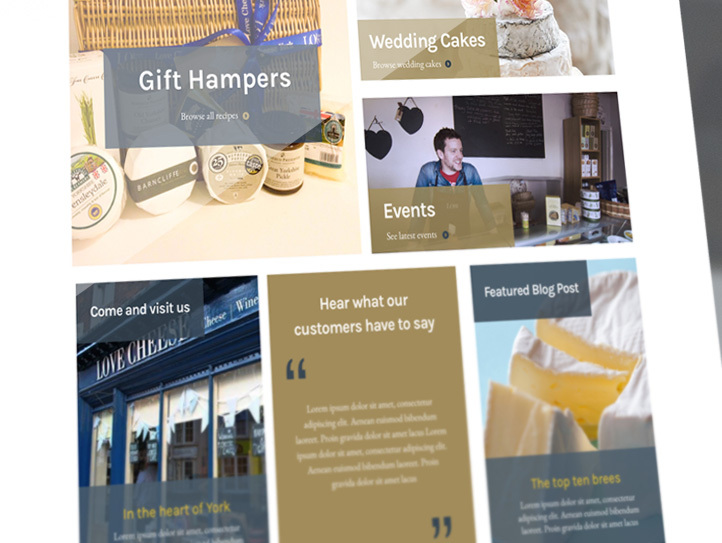 After deciding on an easy-to-update WordPress site, we focussed on creating them a sophisticated but classic design to promote their new business. We didn’t want the colour palette to look too cheesey (pun intended), and the mouth-watering product photography couldn’t be upstaged, so our designers opted for classic, regal colours, settling on navy and gold, with a dabble of grey and white. Buying cheese shouldn’t be a difficult task, and we made sure we didn’t over complicate things. With clearly defined categories and super simple (but informative) product pages, the user can go from homepage to checkout in 3 clicks. 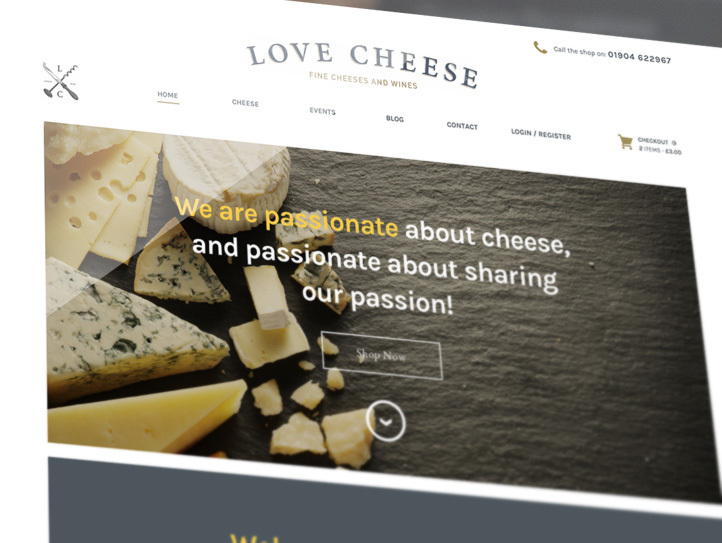 Love Cheese wanted to have the option of adding blocks in the CMS, and we created the ability to choose the block colour from the site’s colour palette, for full control over the look of each page with any additions post-launch.